Home > Antibiotics – use with care! Everyone is responsible! Antibiotics – use with care! Everyone is responsible! 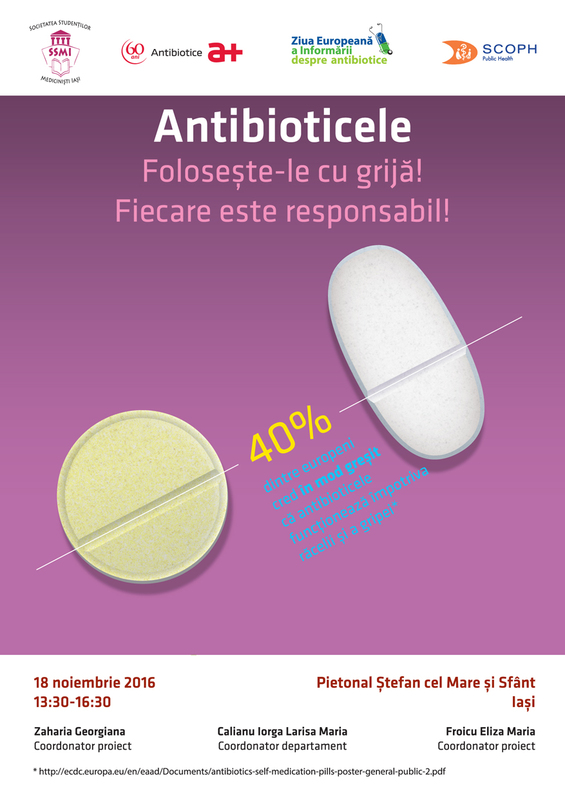 Friday, November 18, 2016, on the occasion of the European Day of Awareness on Antibiotics, Antibiotice supported the social responsibility campaign initiated by the Society of Medical Students Iasi, raising awareness on the correct use of antibiotics. The campaign whose slogan was “Antibiotics: use them with care! Everyone is responsible!“ began by placing a tent on Stefan cel Mare Boulevard and aimed to inform and educate the public on the correct use of antibiotics in order to preserve their effectiveness for future generations. 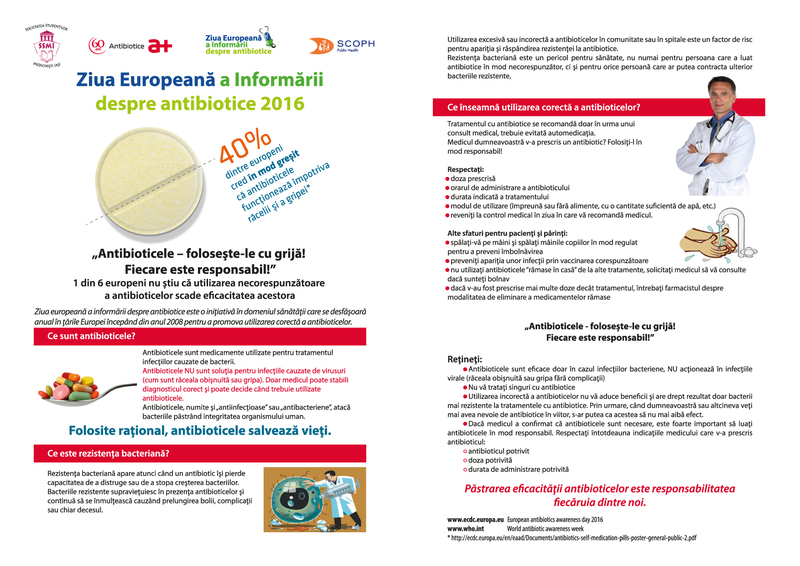 People from Iasi who visited the tent received leaflets with useful information about the proper use of antibiotics. As part of its social responsibility strategy, Antibiotice is involved in informative campaigns on the proper use of antibiotics, both with associations of health professionals and student or patient associations. “Antibiotics have been considered since their discovery a miracle because of their immediate impact in lowering mortality. Today, this “miracle” is in danger, their careful use is essential, both in medicine and in agriculture. It is the responsibility of each of us to value these “miracles”. We believe that such a campaign would cause an increased awareness on the use of antibiotics to preserve the effectiveness of this valuable therapeutic resource in the long term, “said physician Mihaela Mosnegutu, Medical Director. • the responsible use of antibiotics can shorten the suffering and prolong life etc.